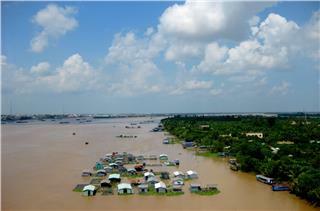 Retaining an area of about 60 km2, An Binh Islet is located among Tien River and Co Chien River. 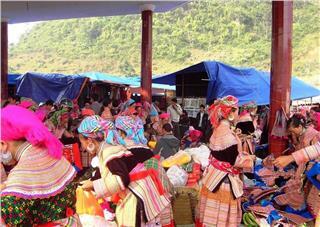 It consists of 4 communes, namely An Binh, Binh Phuoc Hoa, Ninh Hoa and Dong Phu, Long Ho district, Vinh Long province. 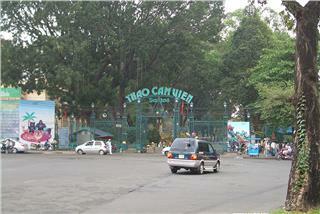 In terms of tourism, the islet is adjacent Cai Be floating market, Tien Giang province to the north, with the fruit village, Lach Market - Ben Tre province to the southeast, towards My Thuan Bridge to the west and opposite Vinh Long city to the south. 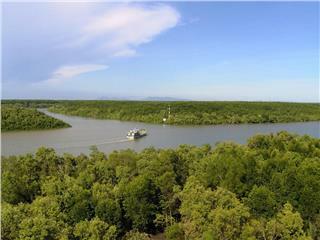 This is the beginning point of the strip of fertile alluvial Minh Islet with lush fresh fruit gardens, which is suitable for the development of various types of eco-tourism. 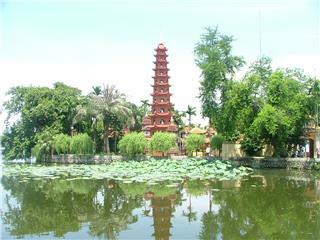 An Binh Islet is one of the fascinating tourist attractions in Mekong Delta. 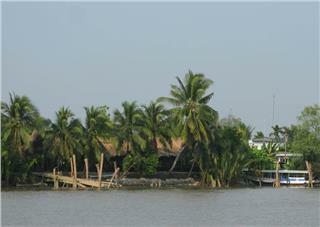 As one of the famous islets in Mekong Delta, An Binh Islet is the green tourist spot attracting the great number of tourists thanks to the unique cultural features of the water region. 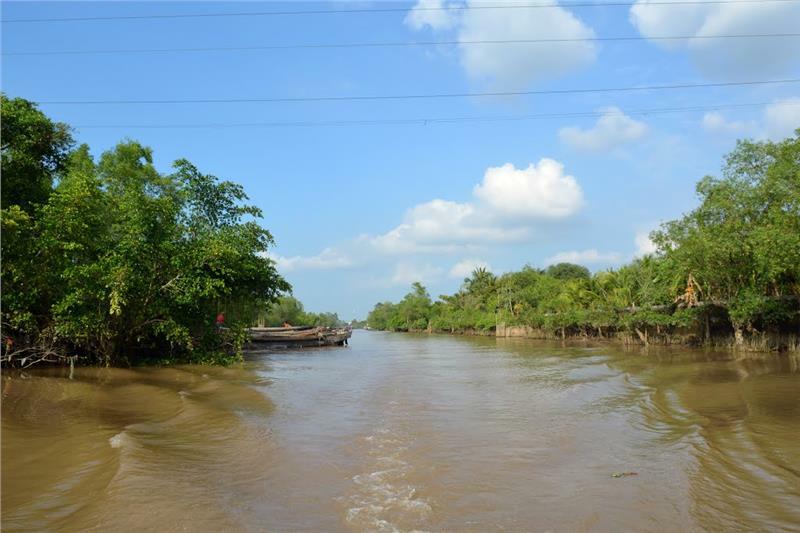 With the system of interlaced river, tourists to the islet can float on the small boats crepting into the fruit orchards with both sides of deep blue rows of willow, the plant associated with the rustic dishes like sour soup... 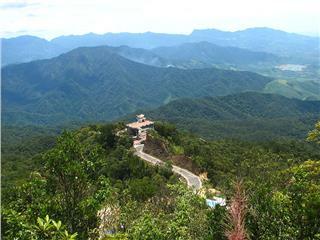 Here, tourists will feel the smooth, soft and comfortable feelings dispel the noise, hurry and the bustle of the urban life in order to enjoy peaceful scenery in the countryside waters instead. 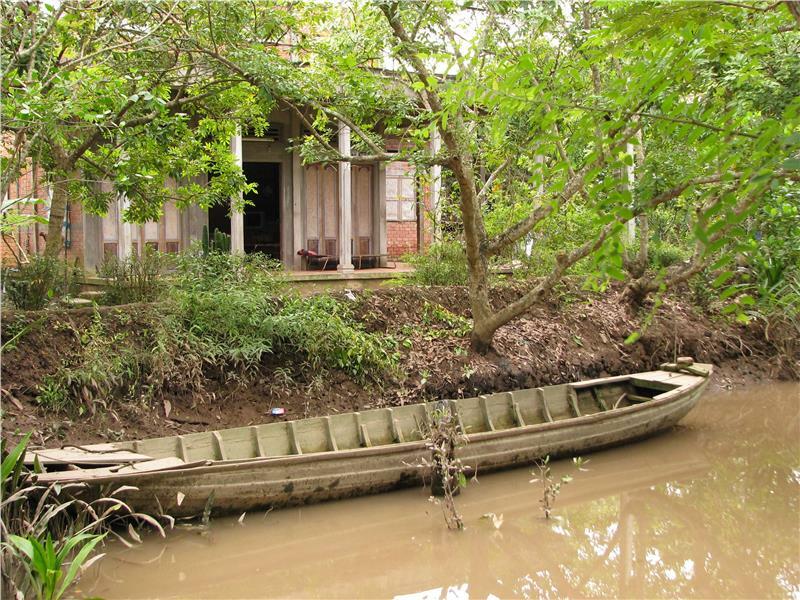 Discovering An Binh Islet is one of the exciting things to do in Mekong Delta. 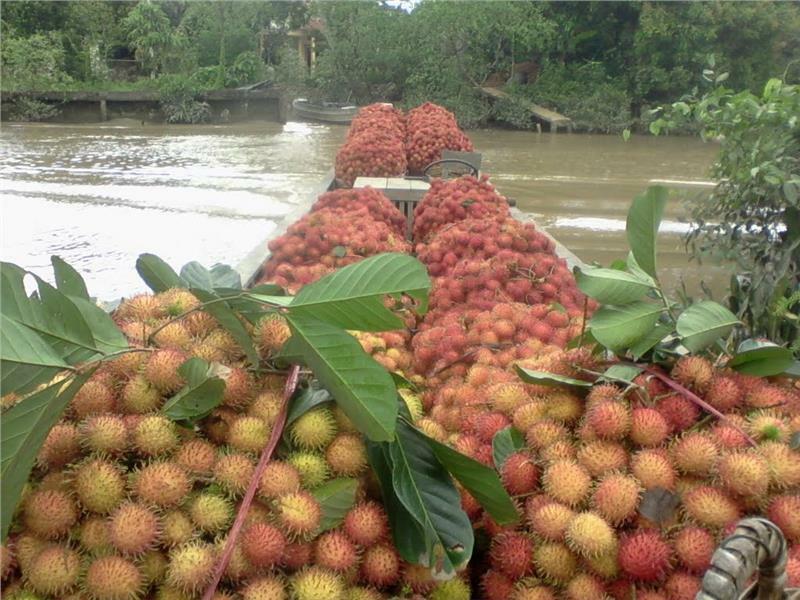 Going to An Binh Islet, one of the unique Mekong Delta islets, tourists can roam along the waters, visit the fruit orchards, hand-picked and enjoy the fruits as local specialties such as jackfruit, durian, longan, plum, rambutan... and also take them as gifts for friends and family. Tourists can also visit Vinh Sang tourist area in order to participate in fascinating activities, namely riding ostriches running on the sand, going fishing crocodile, walking in the unique monkey bridges, experiencing grass sleds, cycling around the village, kayaking along the river, spreading the nets, slapping ditch for fishing... 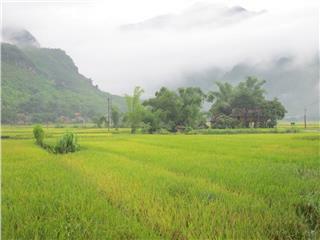 Tourists then can comfortably prepare their food by themselves and enjoy the rustic rural lifestyle in the countryside. 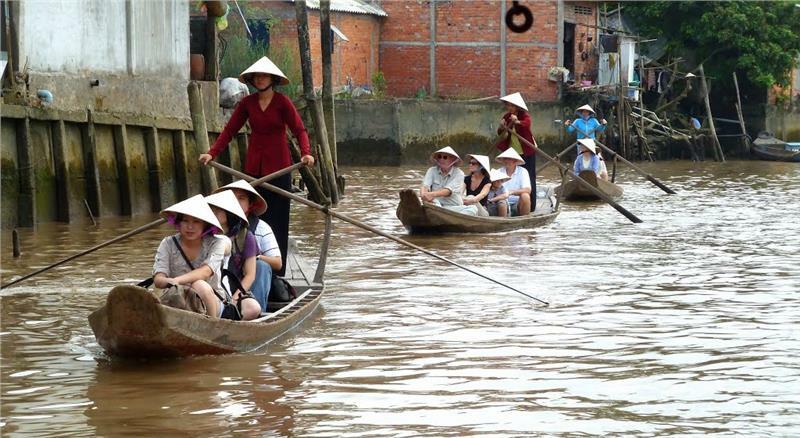 These experiences are worth to bring An Binh Islet to become one of the must-see Mekong Delta attractions. After a day of walking around the islet, tourists can relax right on garden houses under "homestay" tourism, for instance, Mr. Nam Thanh homestay, Mr. Tam Tien homestay, Mr. Ba Linh homestay, Mr. Ba Hung garden, Mr. Mai Quoc Nam garden, Mr. Muoi Huong garden or Mr. Cai Cuong ancient house... 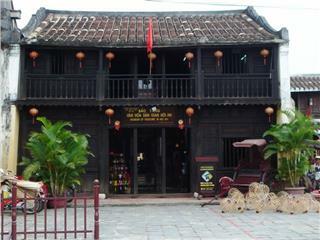 Here, tourists can comfortably have a meal and live with the locals, enjoy the typical dishes of the water region such as fried gouramy with pieces of fish rolling with basil, star fruit, banana dipped in chili garlic fish sauce; crispy fried spring rolls; grilled snakehead or pancakes... Discovering Mekong Delta travel is thus much more attractive. 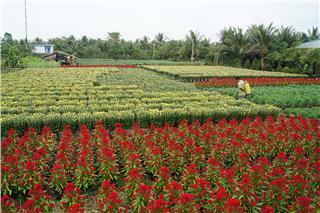 In addition, tourists can travel to tourist area of Mekong - Dong Phu aquaculture farm. 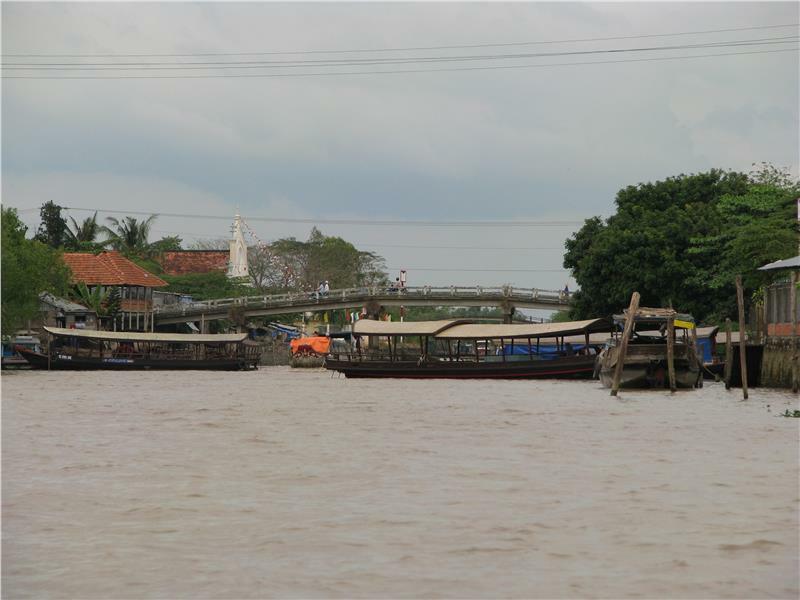 Here, tourists can catch pangasius, hemibagrus or carp by themselves... in the small canals and are guided to process simple nutritious dishes. Sipping some glass of "de" wine (delicious wine in the Mekong Delta provinces) and contemplating My Thuan Bridge at sunset is actually unforgettable memories. Here, tourists can also hold picnics with entertainment activities on the river with canoes, watercrafts or paddling pontoons... 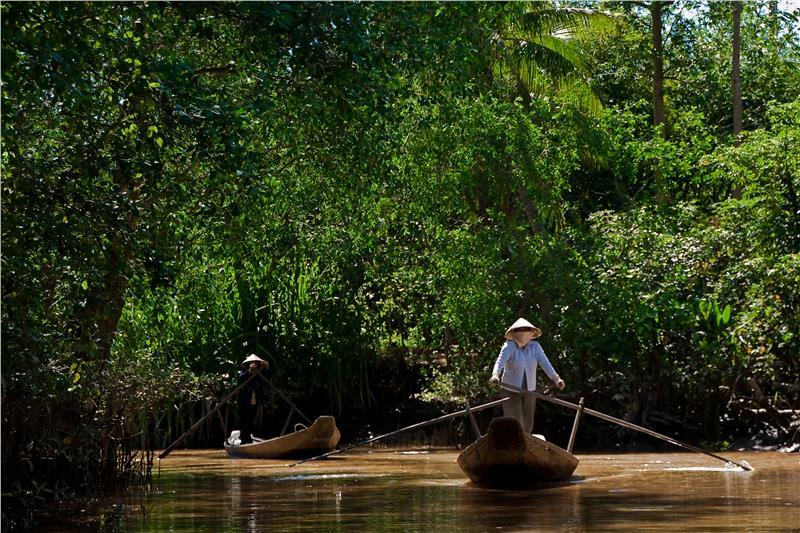 Tourists also fish in the rivers by themselves with freshwater fish species dubbed as specialties of Mekong Delta..., which actually creates the fun, playful, cheery moments. 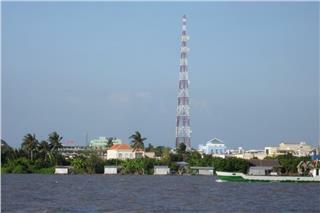 An Binh Islet is one of the indispensable tourist addresses in Mekong Delta tours. 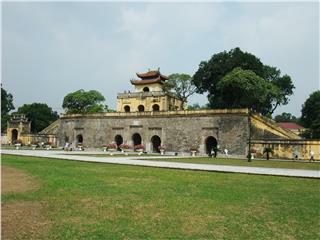 Thanks to its own unique cultural characteristics, An Binh Islet has attracted the great number of both the local and foreign tourists to visit and relax so far. 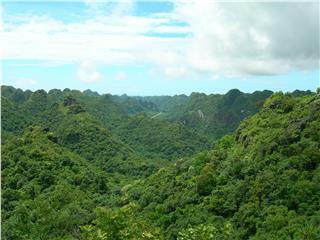 It will continue to be an attractive tourist site in the exploration of Mekong Delta tourism. 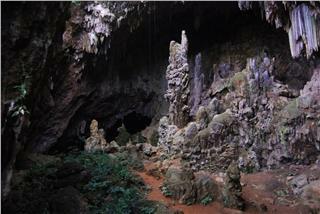 An Binh Islet deserves an trustworthy ecotourism address in Vinh Long travel strongly attracting tourists.